A mild assault on the methodology behind calculating inflation. 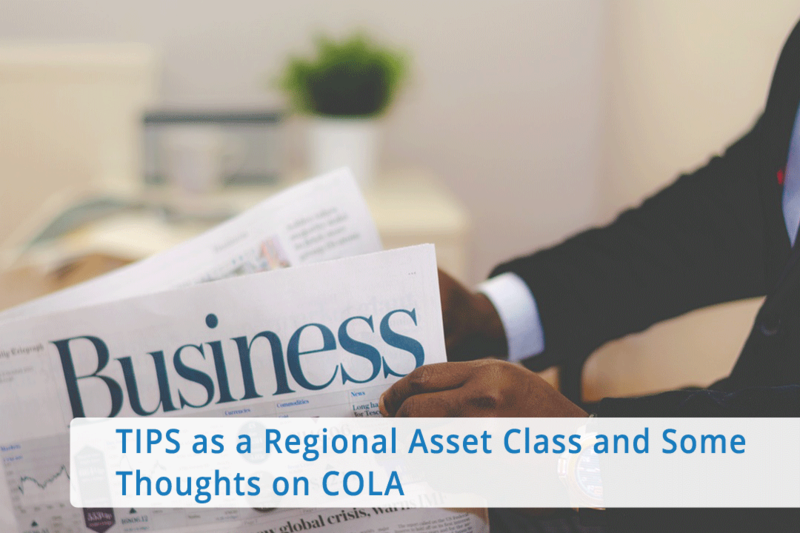 Should TIPS be considered a regional asset Class. They are always mentioned and used from a national number perspective, how about drilling down to the regional and state level? Ideas around a catalyst to changing something that is embedded in so many places within our society. On Thursday, October 15th, the U.S Government announced that there would be no COLA increases for retirees and government workers receiving social security. It’s hard to imagine that the official inflation calculator for the country would register zero or negative inflation for the past year. One can argue whether this number is even calculable over time. There are just too many moving pieces and assumptions that get forced into the statistical models. There’s also questions about the methodology and how these numbers role up from the city, to state, to national level. There are concepts and methodologies such as hedonistic price adjustments and substitution bias that allow policy makers to adjust inflation downward for perceived changes in the quality of a product or that if the price of one product is too high people will switch to another less expensive product. It seems like the real activity of these calculations isn’t in the actual collection of prices but buried in the working papers and meeting notes of the various sub-committees that make these decisions. I wonder if this type of information is even available to the public? Living in Seattle, it’s hard to imagine negative inflation. That’s basically what the messaging is behind zero inflation. Does parking cost less, does dining out cost less, do Seahawk tickets cost less? The answer is “No.” Many of our prices are on par with New York and San Francisco and have risen dramatically over the last ten years. If you’re new to Seattle and you are renting an apartment for the first time it will be easy to understand. It’s hard to imagine what it would take to improve the process or if an overhaul for the system is even possible. Too many embedded interests in too many processes, and the reach of this number finds its way outbound exponentially to so many different institutions and aspects of our society. If the number is broken and understated, it still benefits policy makers in the sense that they actually have to pay out less than what is owed to everyone who is tied to a COLA increase. You could also argue that this extends out to the real wages that individuals receive since so many of our pay increases are based or interpreted off of this number. What about the borrowing costs for the federal government, definitely less with understated inflation? There are other alternative inflation measurements available. The Billion Prices Project @ MIT, ShadowStats, and Foodtimeline.org. If you have some time, these are interesting places to look to find some interesting ways to think about the topic. Google John Williams, and you will find someone who looks like he knows this topic and can speak to the small nuances and subtleties in this space. One of my big interests would be anticipating where the catalyst would come from to actually change this process. It’s hard to imagine what part of our society could champion this type of change. My best guess would have been with the labor unions sometime back when they actually had a little bit more to say. It’s hard to imagine where something like this could originate and how the topic could be framed for debate. This brings us back to the title of this post. It is my guess that the real inflation rate has a significant degree of variability around it based on where you live. Seattle equals rising prices. Detroit equals falling prices. Most asset allocation decisions are based on a model that is national in perspective and leaves out regional distinctions. One size fits all. Asset allocation decisions for Alaska are the same as asset allocation decisions in Florida. No one seems to drill down much further. If assumptions are off by 2% or whatever number that you want to use, compound that decision out for ten years and you get a lot of variability around the number. It’s impact to asset allocation decisions, IPS statements, and other benchmarking/comparison areas become more pronounced. Are TIPS more appropriate from a real return perspective if you live in an area with falling prices and decay over time or less appropriate if you live in an area of growth and rising prices? As an allocator of capital it is up to you to decide. Personally, it would be very hard for me to justify this asset class for a slot in a long-term asset allocation model or a personal IPS statement for an individual due to my belief that the inflation number is understated. Why start with a 22% deficit if you believe inflation is understated by let’s say 2%. Compound that number out for ten years and you start with a very large deficit to overcome. 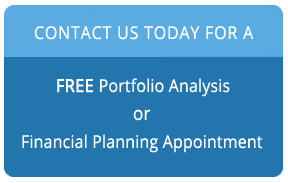 If your intent is to create a segment of your portfolio that is targeted to real returns and keeping up with inflation, there are other alternatives available. Most will be more volatile but if your time horizon is long enough, you have a much better chance of success by choosing something different. Perhaps TIPS work in an environment where you have long-term liabilities that are matched to numbers that use the CPI index and you want to eliminate mismatching risk but if your objective is to compound capital over extended periods of time than there are flaws with using this instrument inside the portfolio. Anyway, a lot of the above could be argued many different ways. It is my intention not to prescribe a correct answer but to throw out some new and interesting ways to think about the topic in various contexts. I don’t claim to be an expert about “TIPS” securities and the COLA number but there are a lot of red flags out there. The impact of this number, especially when viewed as a time series with a little bit of compounding and a decade or so of time finds its way to a lot of interesting places.